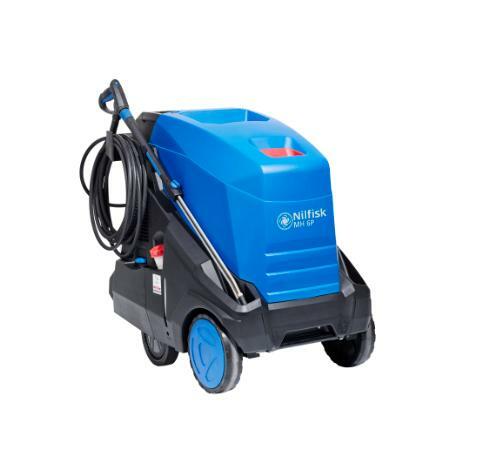 MH 6P is the new addition to the Nilfisk premium hot water high pressure washer range. The tough and efficient MH 6P series combines low running costs, ease of use, and high cleaning efficiency. A very effective tool for heavy duty, industrial hot water cleaning in any sector. The MH 6P series features low running and maintenance costs, robustness, durability and high cleaning efficiency. Heating costs are reduced with the award-winning EcoPower boiler system with > 92% heating efficiency and high heating power levels. MH 6P features the high performance 4 piston NA6 pump.